The Veszprém Regional Committee of the Hungarian Academy of Sciences is holding a Science Club event to take place on Wednesday, 23 January 2019 from 5.30 p.m. at the headquarters of the Veszprém Regional Committee (Great Hall, 1st floor). The speakers will present the 2018 Nobel laureates, taking account of the awardees and their merits, the significance of the recognized achievements, and the progress made by Hungarian scientists in the particular fields. 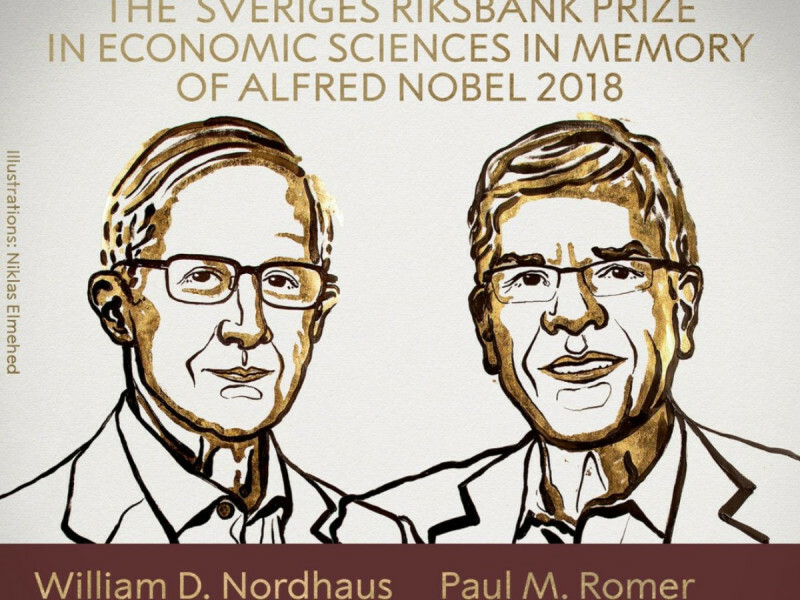 A presentation on the 2018 Nobel Memorial Prize winners in economic science, professors William D. Nordhaus and Paul M. Romer will be delivered by Szabolcs Szikszai, head of department at the Institute of Economics of Pannon University, President of the Veszprém County section of the Hungarian Economic Association. The detailed programme of the event can be accessed at the website of the HAS Regional Committee, Veszprém.